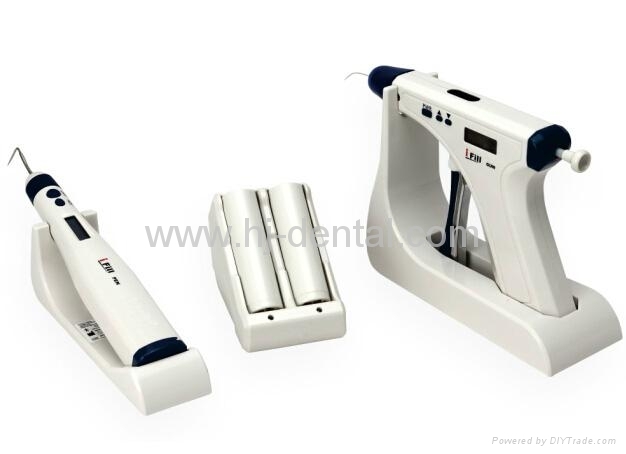 The obturation gun for updated model can be both cordless and cord use, so the dentists do not worry about low-battery during the operation any more. When running out of battery, the obturation gun can be still used directly with power adapter for heating. However, for injection, cord use is NOT permitted for safety. Fast Heating, More reliable, Better structure. 1. 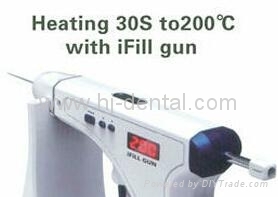 The type F (the thinnest) heating pen tip can be twisted to be suitable for lateral branch root canal. This is very important for vertical obturation. We are the only company which could offer twisted pen tips. 2. The Heat Insulator of Obturation gun can be autoclavable.